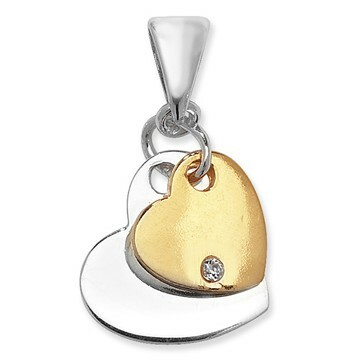 Small and beautifully formed the twin hearts are created in Sterling Silver, with the small heart lavishly plated in 8ct Gold and set with a small cubic zirconium for pure pizzazz. On a Sterling Silver chain. Hearts: 1.5cm & 1cm.